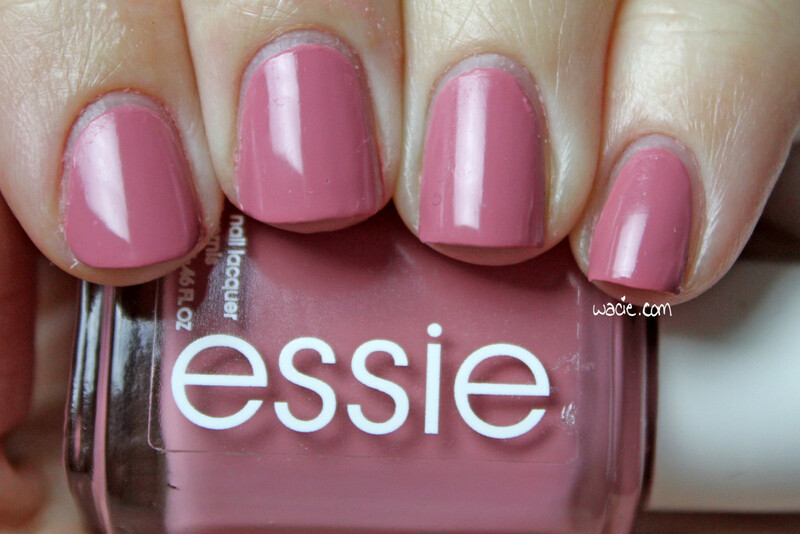 Swatch Sunday’s polish this week is Essie’s Marathin. 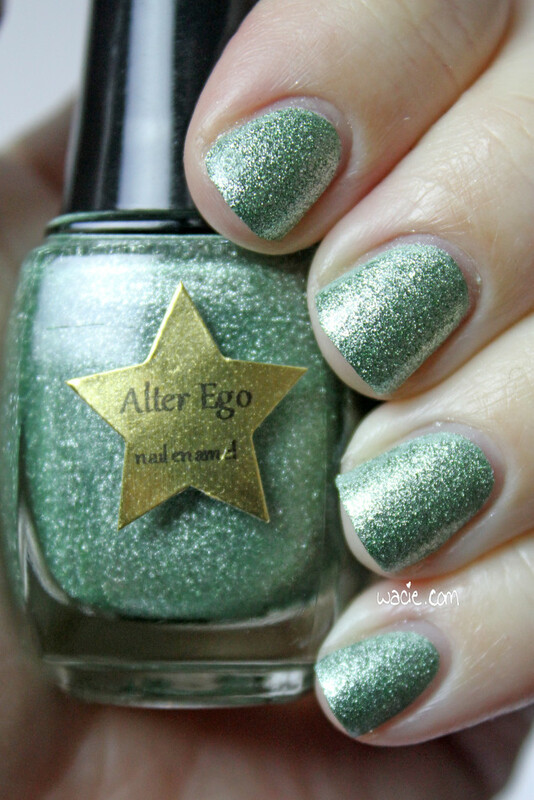 I’m wearing three coats with one coat of Alter Ego’s She Shines top coat. 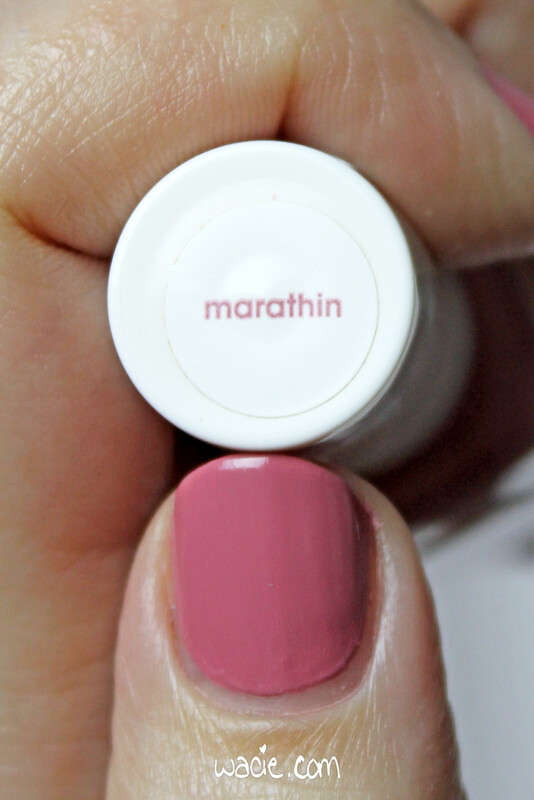 Marathin is a dusty mauve creme polish. Applying it was easy; the formula is pretty even, so the first coat was almost opaque; a little streaky, but filled out with another coat. I had full opacity in two coats. It dried well; I didn’t notice any long drying times, and it was still pretty glossy and smooth before top coat. It’s a good quality polish. 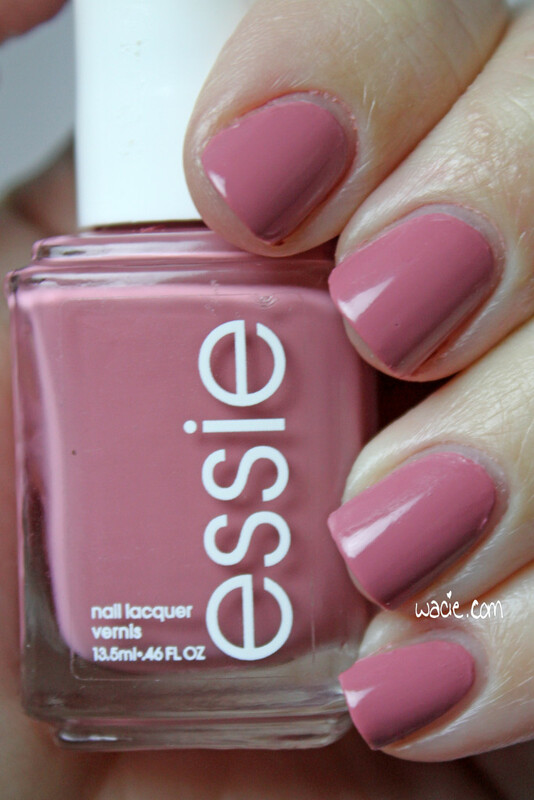 Marathin was my first Essie polish that wasn’t from the LuxEffects line. You can be sure I bought all of those first. I just happened to spot Marathin in a sale in at Walgreens, and even though it’s not my style, I bought it anyway. I don’t have a lot of enthusiasm for this one, you can probably tell. This color just reminds me of that dreadful time when the only nail polish colors I had access to were my mother’s, and the only colors she had were variants of dusty mauve. It’s not a bad color, I’m just still burnt out on it after all these years. 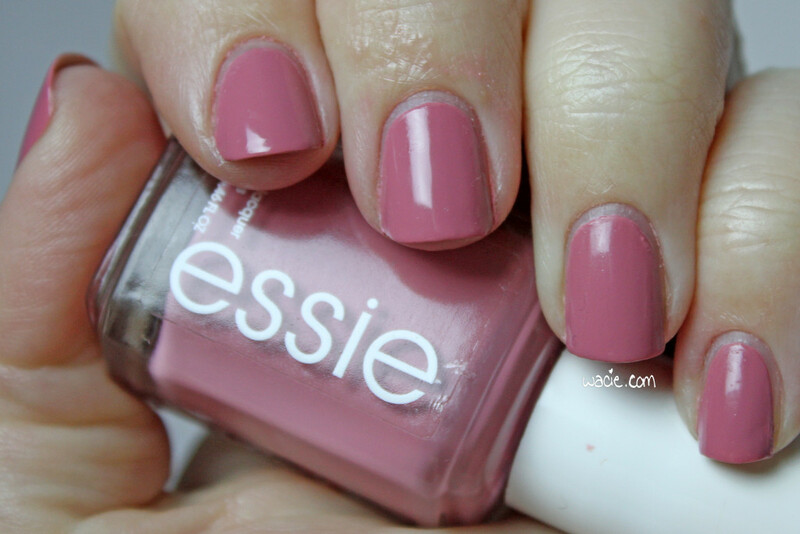 I don’t see Marathin on the Essie website, so it might be discontinued. I get my Essie polishes from Walgreens. For today’s Swatch Saturday, I’m wearing a brand that’s very new to me. 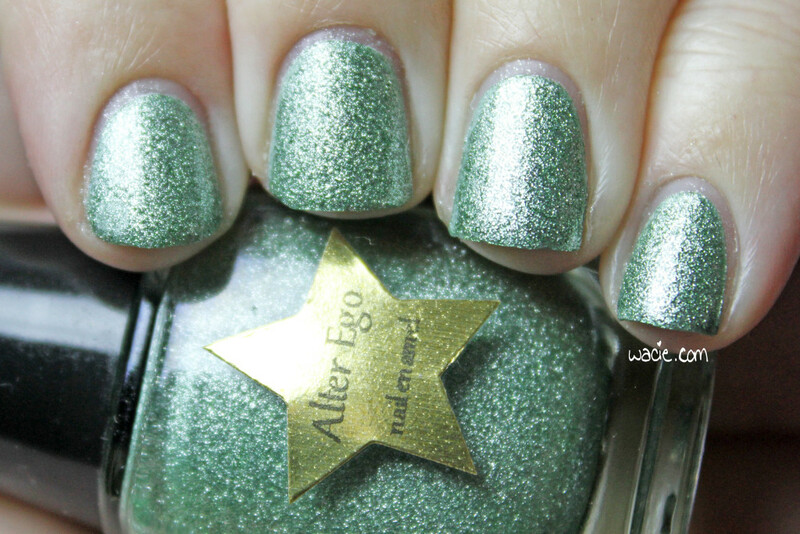 I had not heard of Alter Ego until Blue-Eyed Girl Lacquer launched the Lighthouse of Hope Box last October. I didn’t have any of their polishes until I purchased said box. 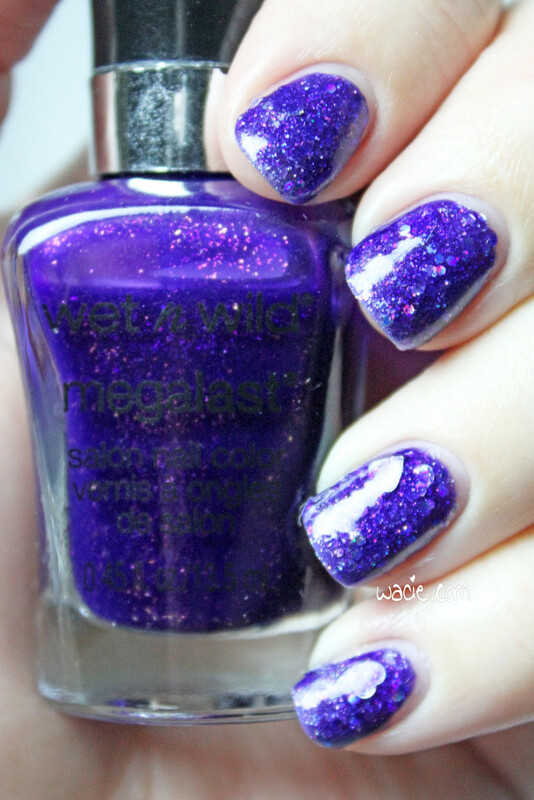 I’m wearing three coats of Grows Hope with two coats of Alter Ego’s She Shines top coat. 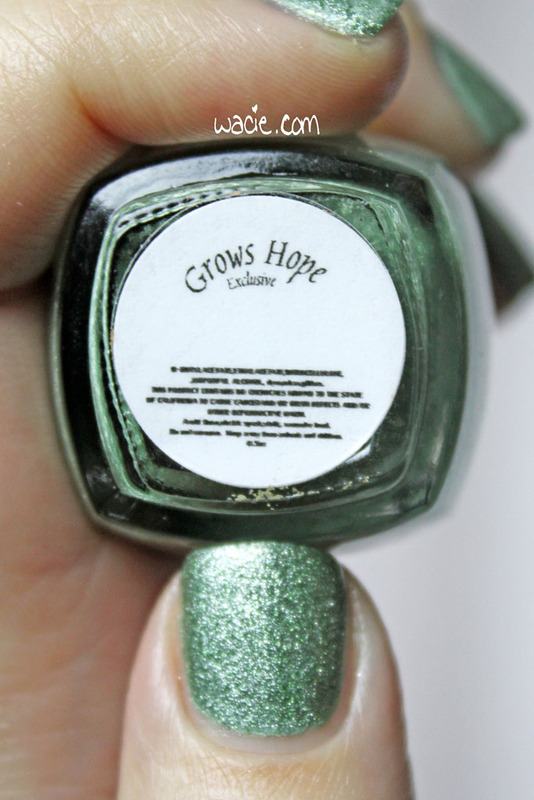 Grows Hope is a frosty metallic green polish. The formula is definitely on the thicker side, but I believe this is by design; to thin the consistency would be to change the intended foil effect. Despite the viscosity, I had no problems at all applying it. 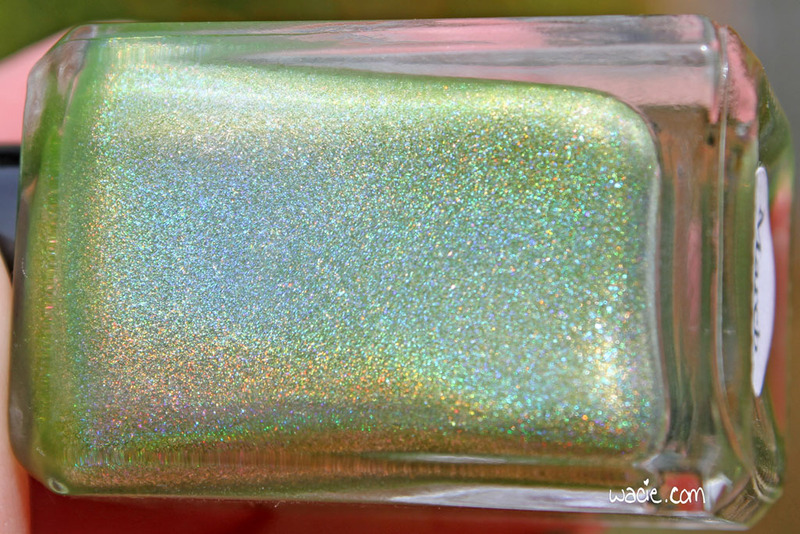 It dried quickly with a satin/matte finish, likely due to all of the pigments and magic that comprise the formula. Top coat went a long way in bringing out the metallic look. I ended up using two coats of top coat because the first one soaked right in and didn’t give me as much shine as I wanted. Despite that, I enjoyed working with this polish. Grows Hope is like nothing else in my collection. I can’t get over this finish. 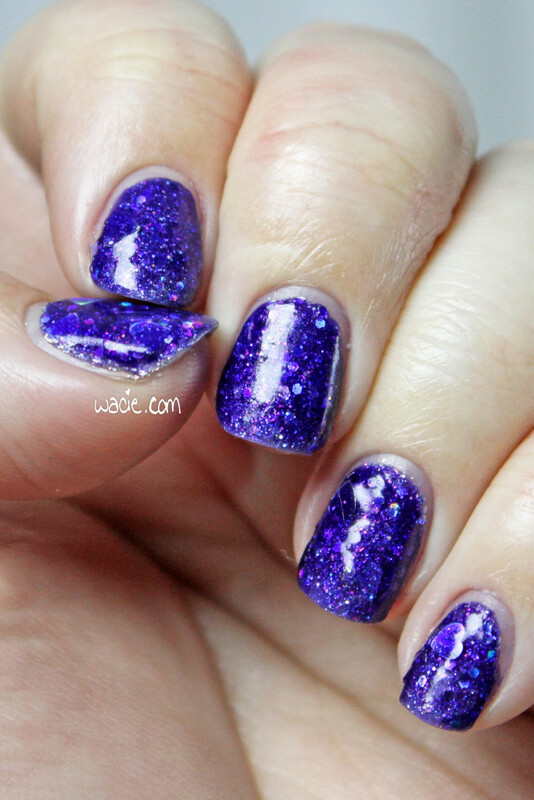 I don’t have a single polish like this one. I really am impressed with it. 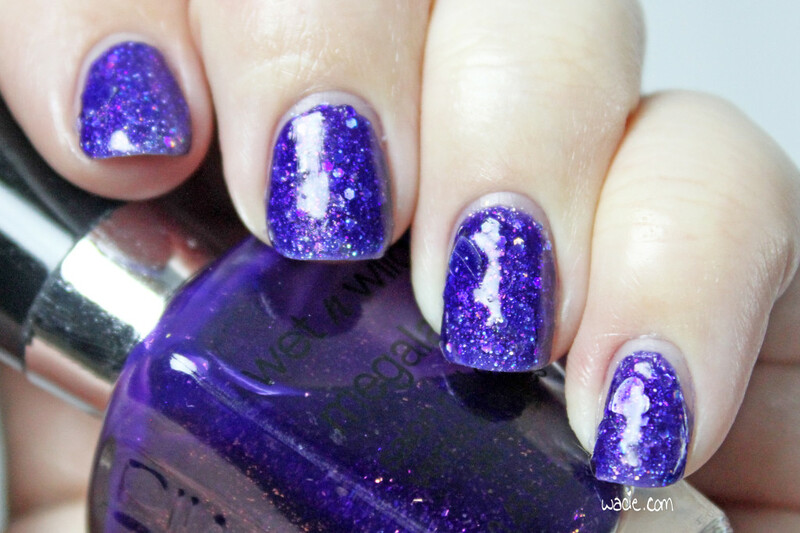 Also, a quick word about the Alter Ego top coat. I’ve actually used it for a couple of manis so far, but I thought this would be the best time to talk about it. It’s really nice. After applying, my hands are bathroom-dry in five minutes. I have had no problems with shrinking or cracking, even with multiple coats. I didn’t know what to expect with it, but I’m really happy with it. Grows Hope is a Lighthouse of Hope Box exclusive, which you can purchase from the BEGL shop. 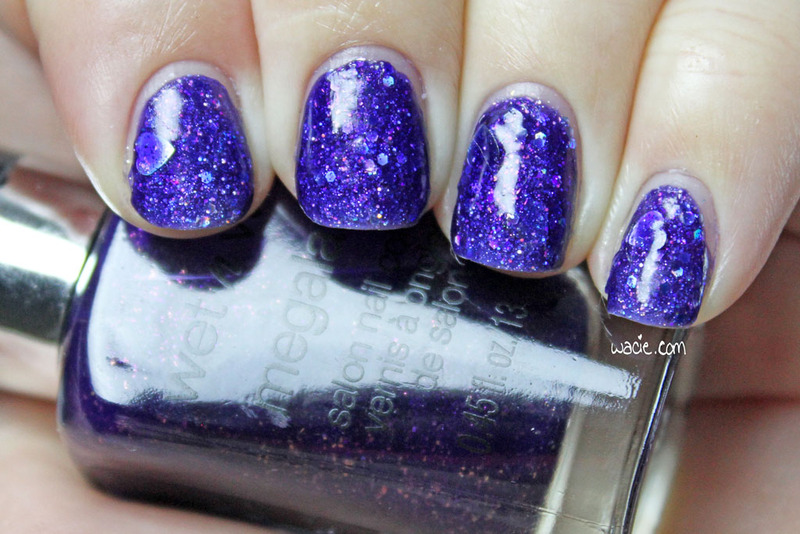 The box contains seven other polishes, as well as the She Shines top coat. The price is $80, $60 of which is donated to I Need a LightHouse, an organization that works with people who suffer from depression and their loved ones. Polish for a cause! 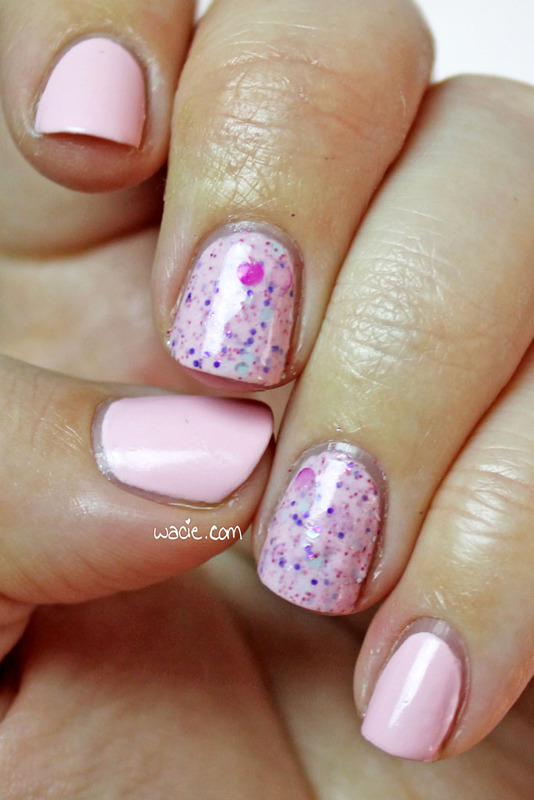 It’s another dainty manicure today! Pink nail polish is the best. I’m wearing three coats of Julep’s Martha with three coats of Digital Nails‘s Bonnibel on my accent nails, as well as one coat of Alter Ego‘s She Shines top coat. 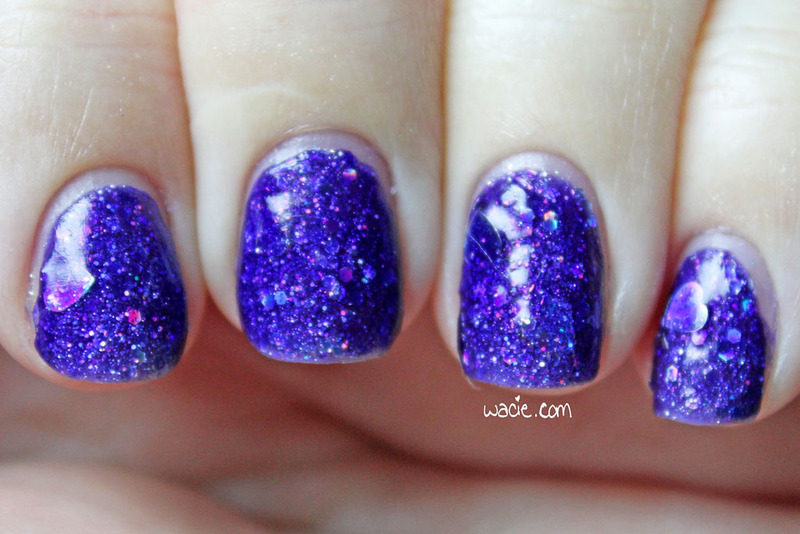 I started with Martha, and believe it or not, I struggled to find a glitter to pair it with. I hear you, saying that it cannot be that hard to match something to a light pink. It’s really not. I have so many polishes, though, and so many possible combinations; I wanted something that was just right instead of good enough. Bonnibel turned out to be perfect; the pink crelly and Martha are about the same color. The glitter makes it sparkle just enough. This a soft, girly, and — here’s that word again — dainty look. I like it. I like this week’s polishes. Martha is a typical Julep creme; to call it a crelly might be more accurate. I used three coats because the second coat was still streaky and uneven. The third coat gave me full opacity. 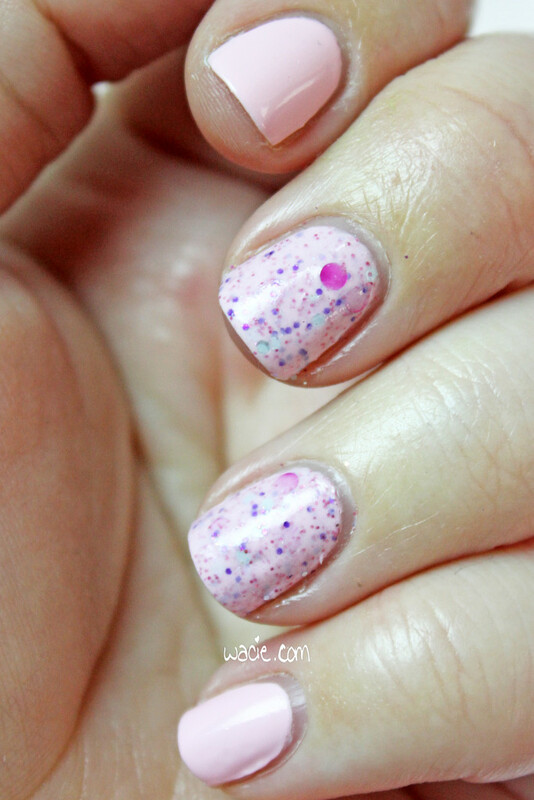 Bonnibel was opaque in two coats, but I used three because I wanted more glitter, especially the big round pink dots. My first coat totally lacked these; I had to sit the bottle upside down to flush them out. I’m really surprised at how well they go together. 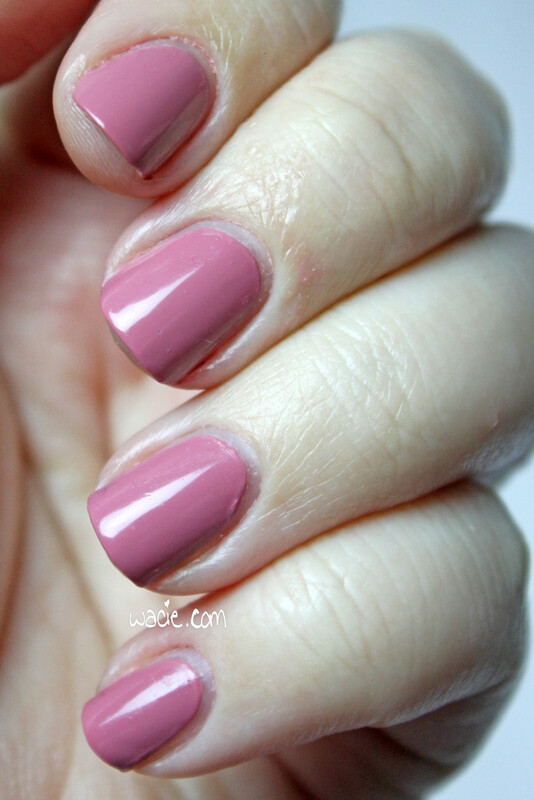 Martha is available from julep.com or wherever Julep polishes are sold. Bonnibel appears to be out of stock at Digital Nails (for now). You can shop the Digital Nails etsy shop here. What’s this? Two holos in a row? Yes! 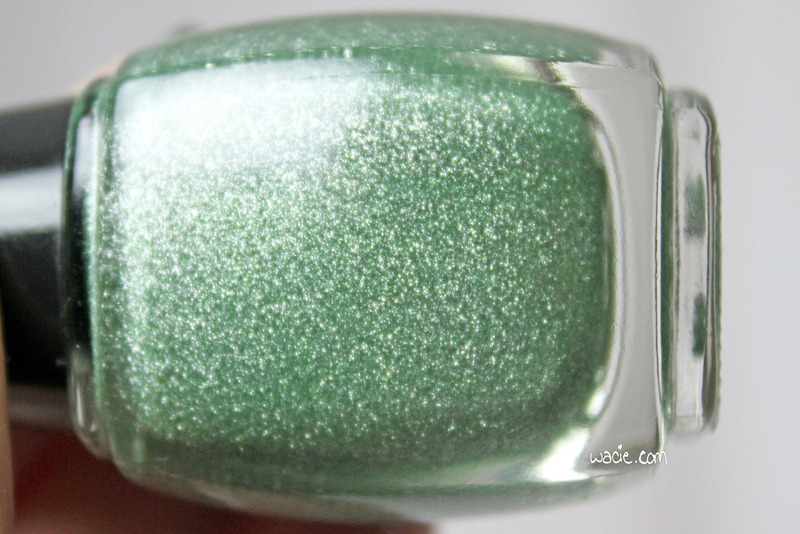 This is another swatch I am totally thrilled to bring you, because it’s a polish I thought I would never own. 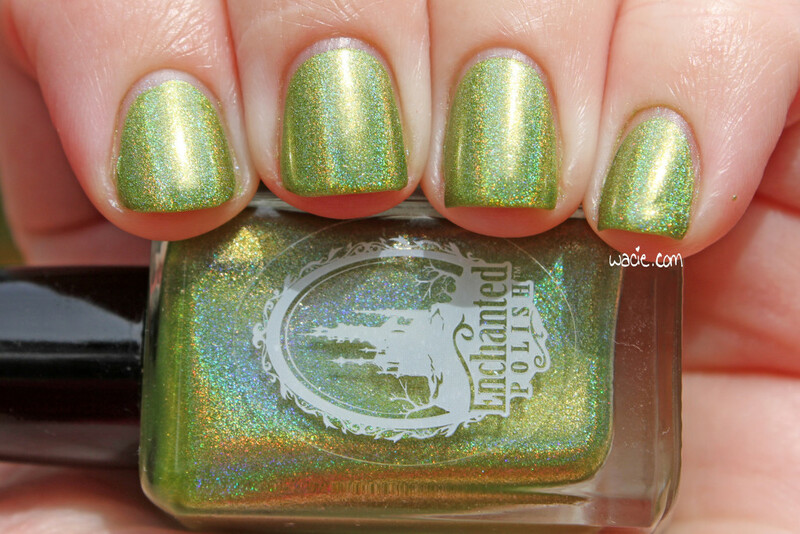 This is March 2014 from Enchanted Polish; I’m wearing three coats with one coat of Alter Ego‘s She Shines top coat. All photos are taken outdoors in partly cloudy/overcast lighting. 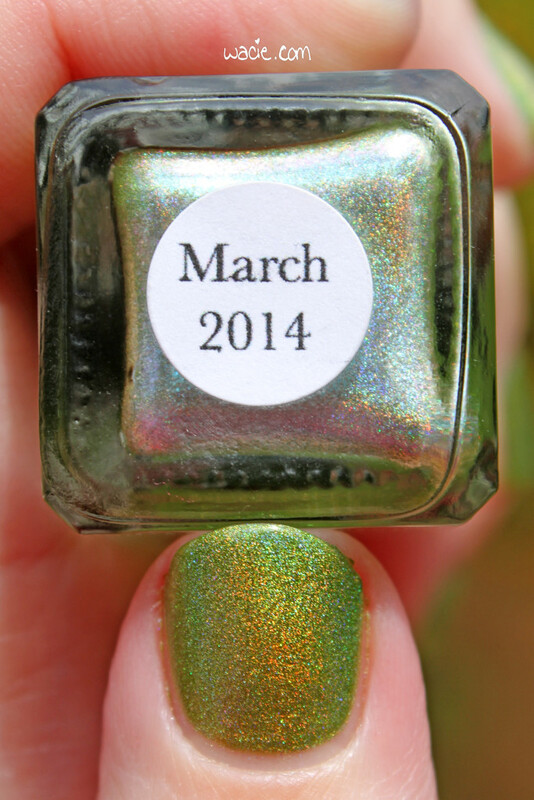 March 2014 is a spring green linear holo with baby blue shimmers. 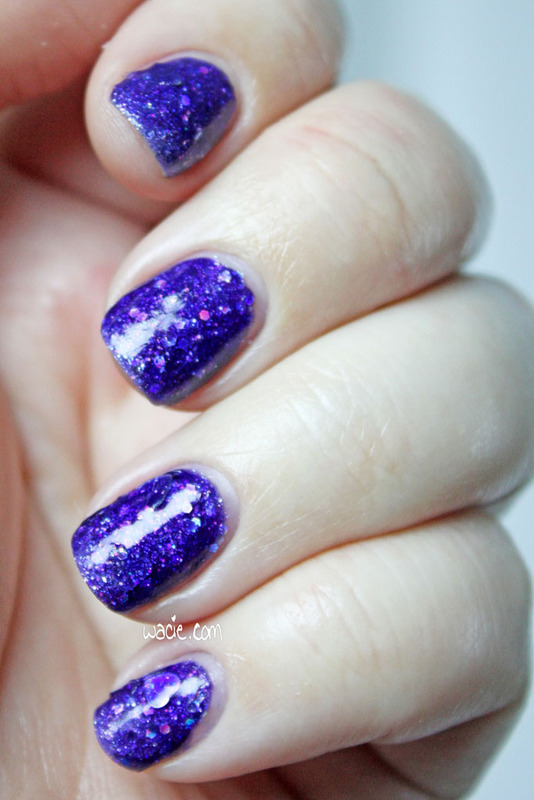 I loved putting this on; the holo effect is very powerful right from the first coat. I reached perfect opacity in two coats. The formula was a little thin for me, but it went on evenly. Drying time was good. 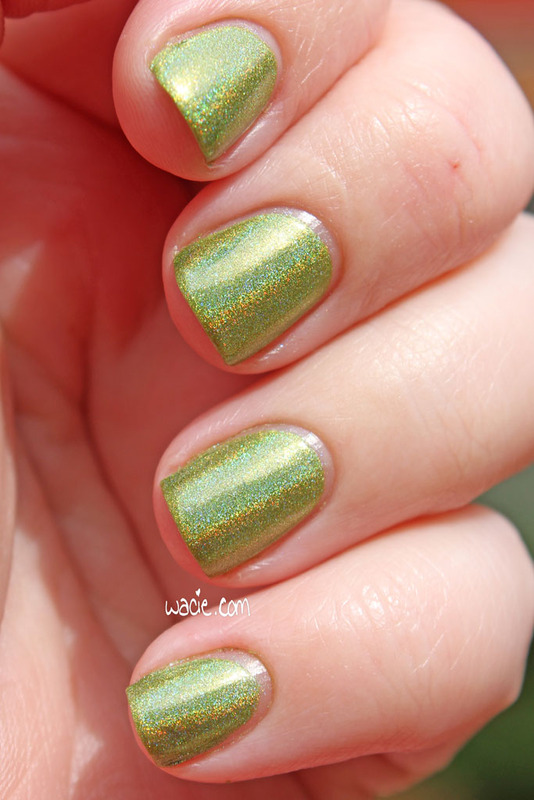 I’m really impressed by the holo effect in this polish; the rainbow really pops out in nearly every kind of lighting. Only when a room is really dim does it fail to show up. I mentioned that I never thought I’d have my own bottle of March 2014. 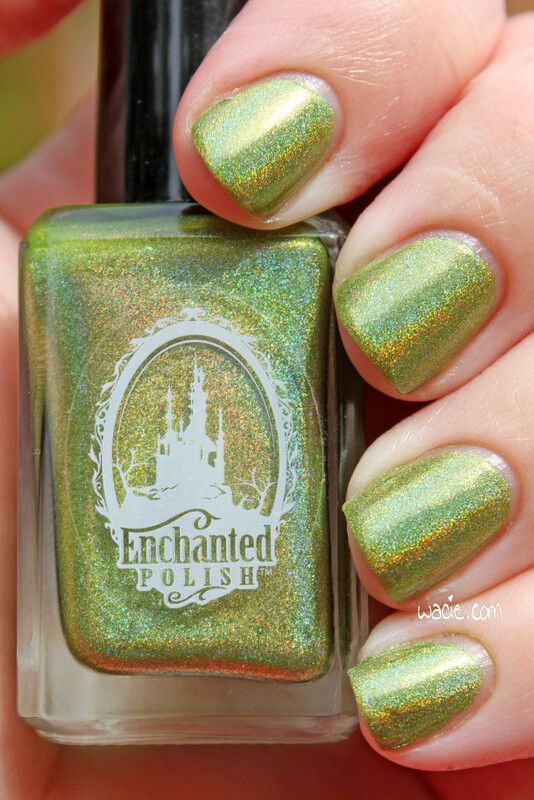 I hadn’t heard of Enchanted Polish until about March 2014, when I started seeing this exact color all over the nail blogosphere. It was beautiful, and when I found out it wasn’t for sale for very long, I just admired it from afar. I forget when exactly it was, probably the summer or early autumn, I happened to see it for sale in another blogger’s destash sale. I bought it for 24 dollars. At that time, it was the most money I’d ever spent on a bottle of nail polish. I felt guilty for days after. I had really hoped for more sunshine, because I wanted to see just how big and crazy these linear rainbows get. I feel like this is a really good show for just overcast skies. I bet this is crazy stunning on a clear day. Like I said, March 2014 is only available if you’re lucky enough to find someone selling their bottle. 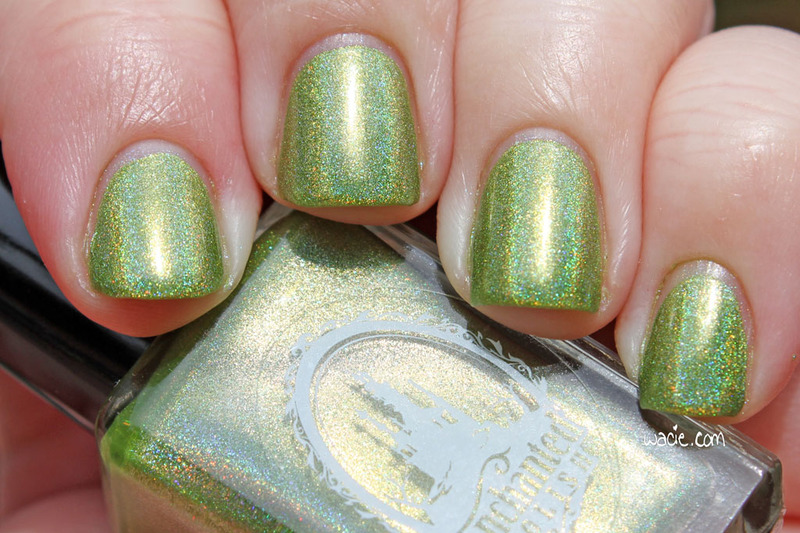 Subscribe to the Enchanted Polish newsletter to find out when the next restock is, so you don’t miss this year’s March polish.